Be at the Australian War Memorial for this important day of remembrance. At 11.00 am on 11 November 1918, the guns of the Western Front fell silent after more than four years of continuous warfare. This year marks the 97th anniversary of the armistice on 11 November. 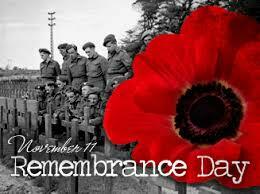 Australians pause to remember those who fought and died for Australia’s cause in all wars and armed conflicts. Members of the public are encouraged to attend this important ceremony. Please note that the Memorial will be closed during the ceremony and will re-open after the ceremony’s conclusion.